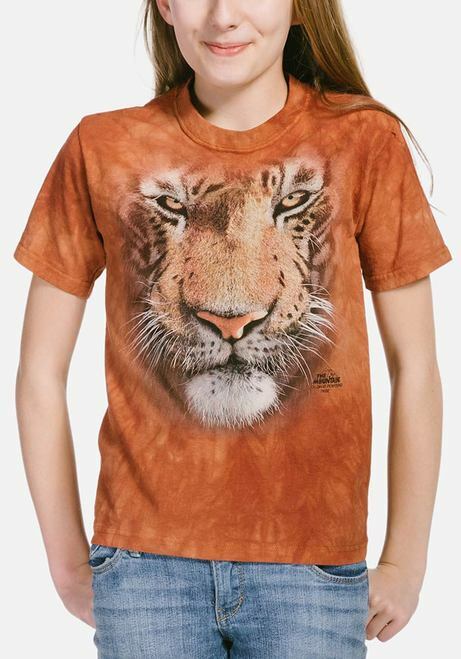 Kids big face tiger t-shirt by David Penfound for The Mountain®. This is a roaring fun children's t-shirt that boys and girls will love. The BEST tiger t-shirts ever! My tiger fan daughter will be happy for years to come with all these deigns.